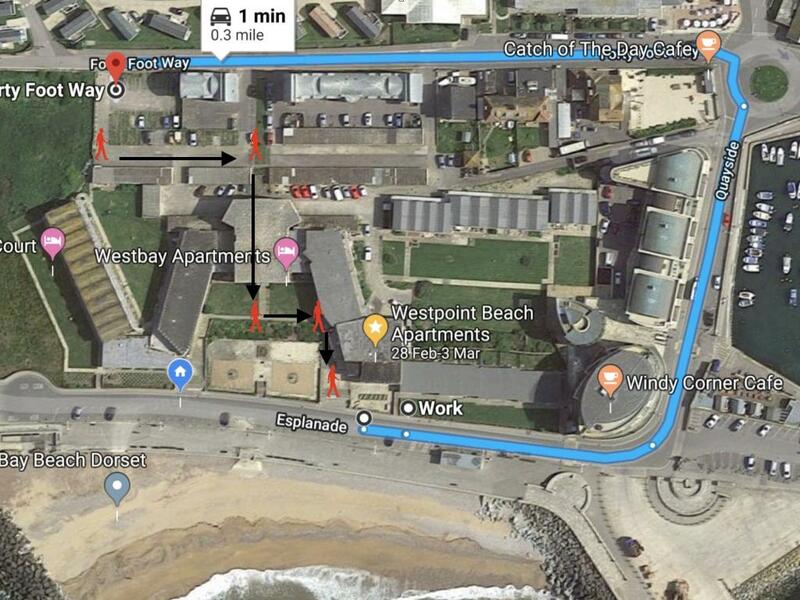 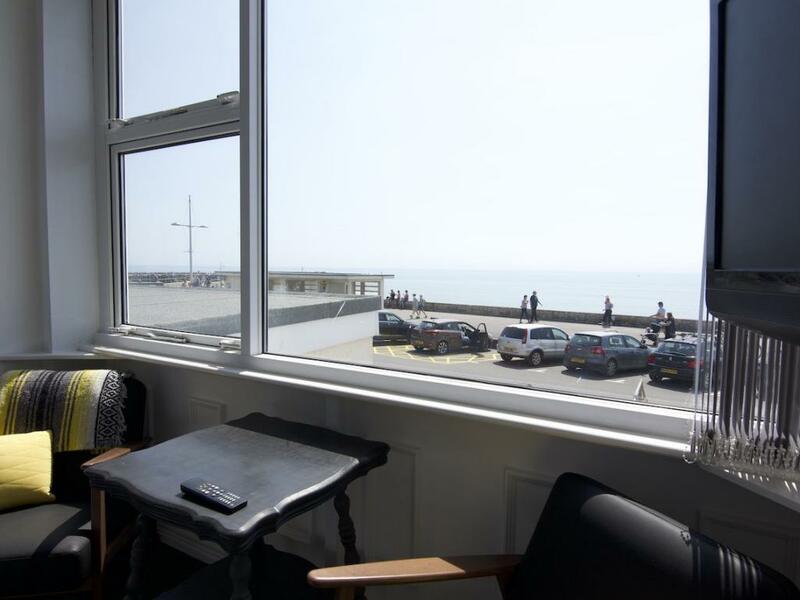 Overlooking the Esplanade and beach from its elevated position Apartment 1 has possibly the finest sea views of the beach and sea in West Bay. 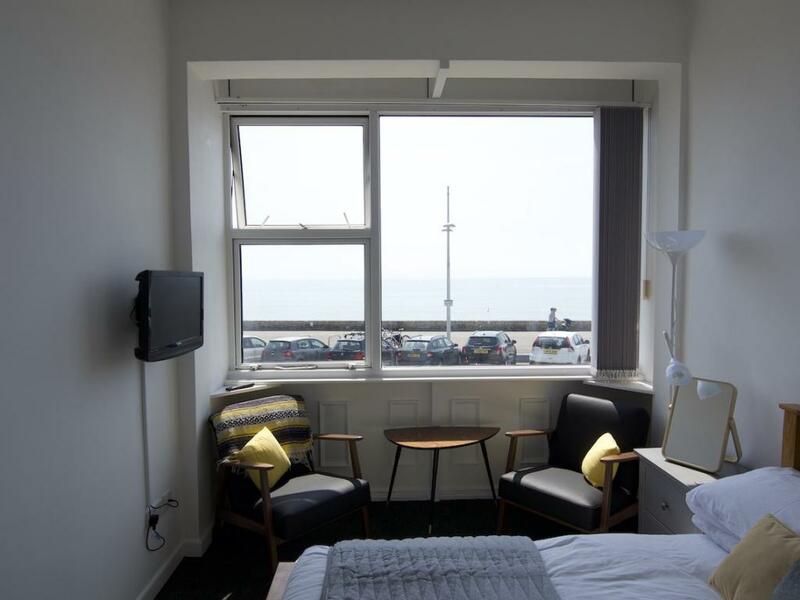 Bedroom 1 has a double bed and ensuite bathroom, television with integrated DVD and views straight out to sea. Bedroom 2 has a double bed and a single bed sleeping 3 (family room), ensuite bathroom, television with integrated DVD and views straight out to sea. 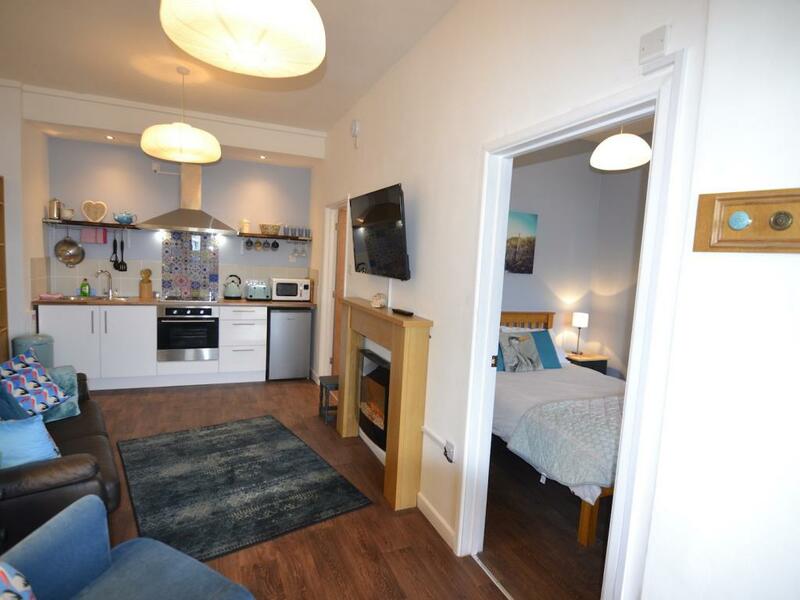 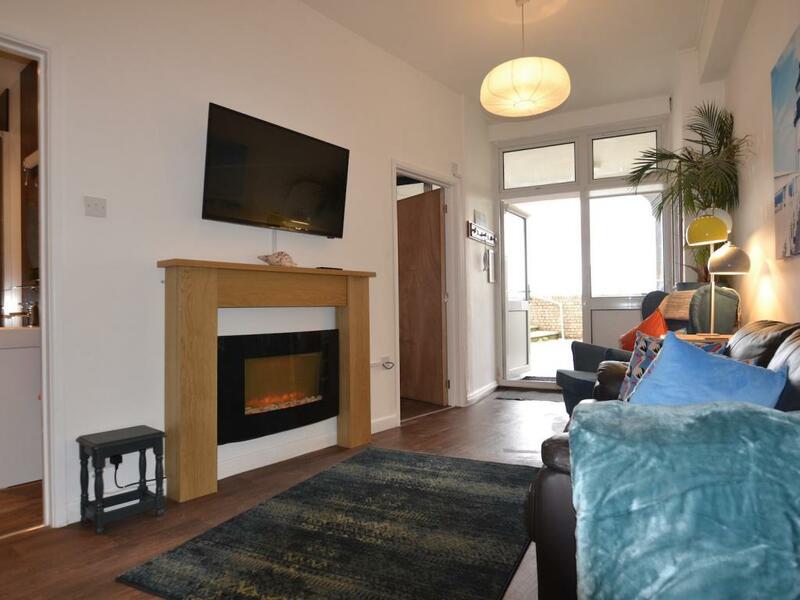 Recently updated Apartment 1 enjoys a generous living room with LCD television and DVD player, dining table and sea views of the harbour mouth and horizon to the east. 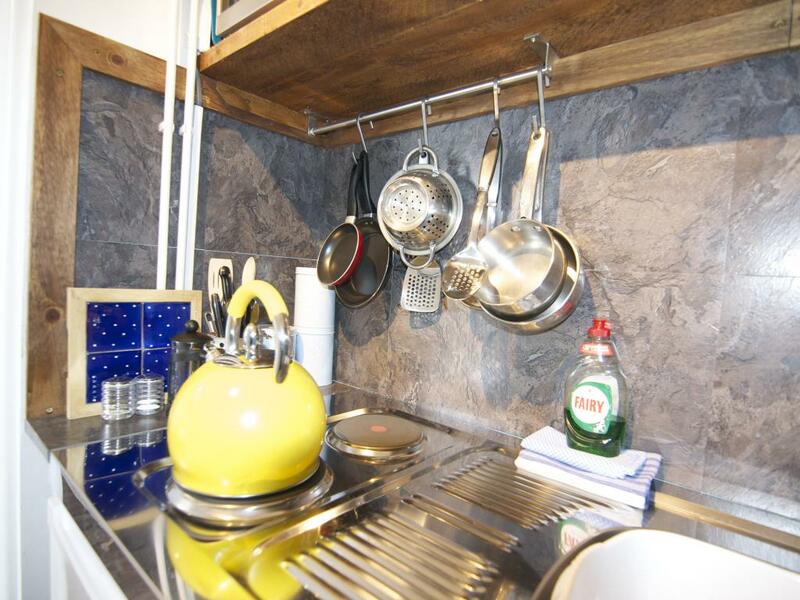 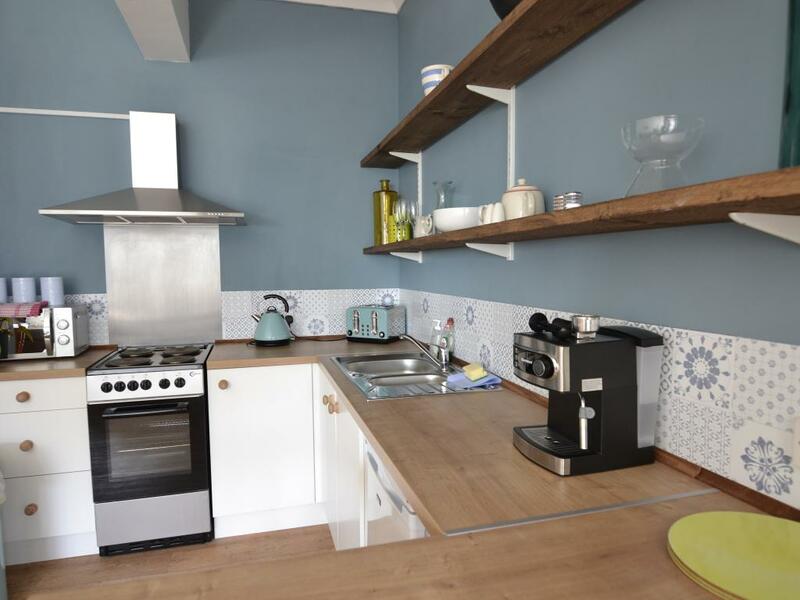 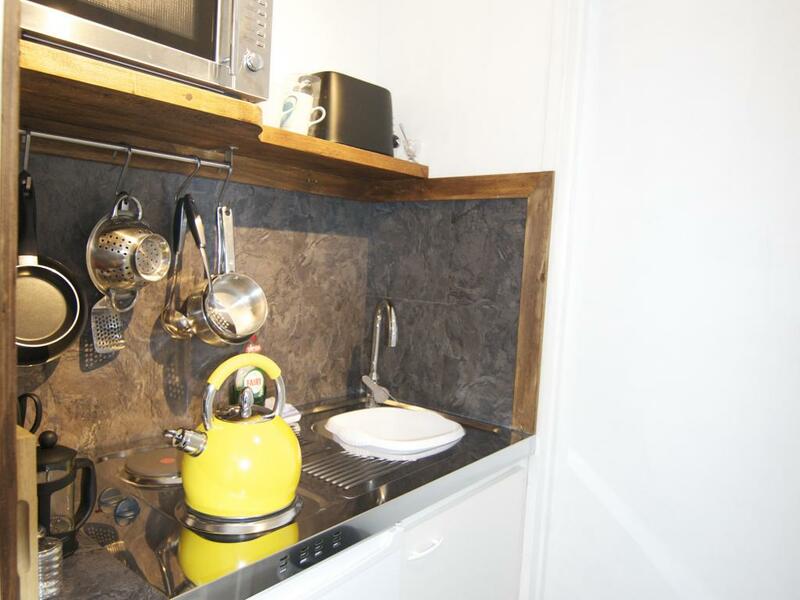 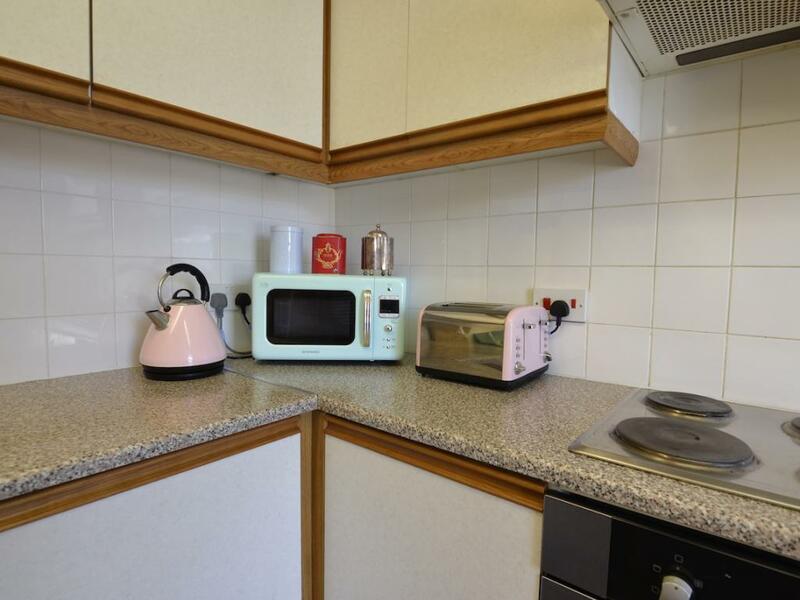 There is a fully equipped compact kitchen comprising a large oven, quadruple hob, microwave and fridge freezer. 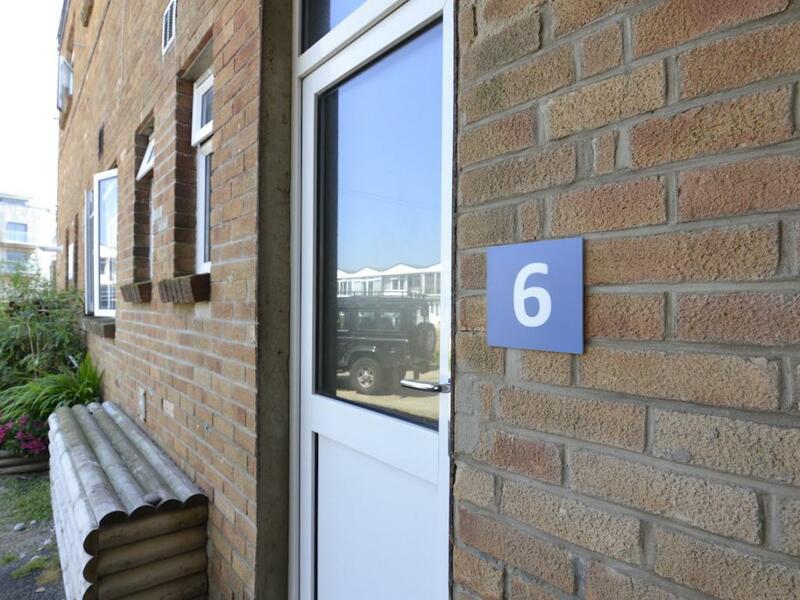 Apartment 1 is on the first floor and requires the use of stairs to gain access. 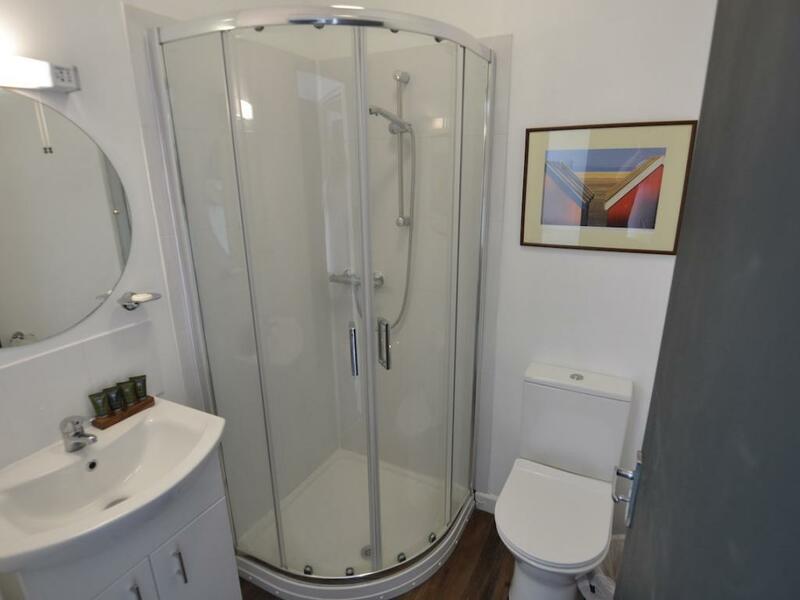 Not suitable for pets. 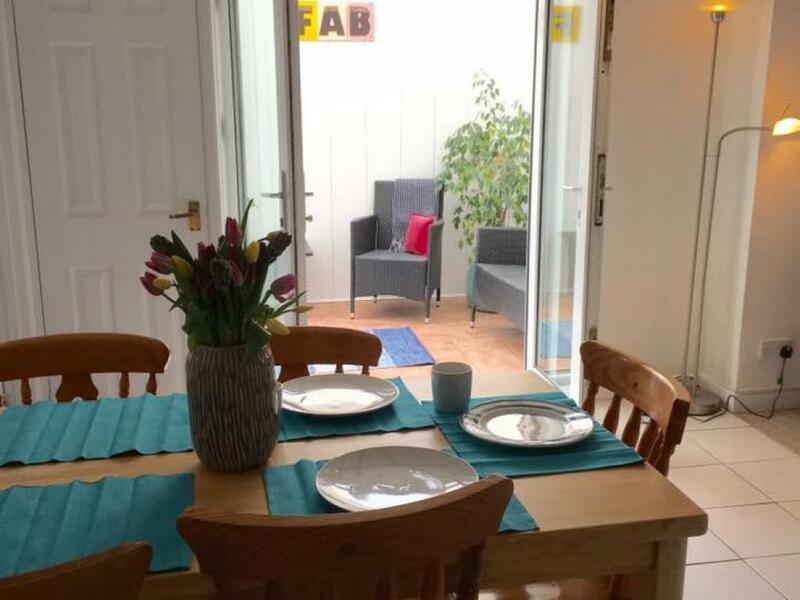 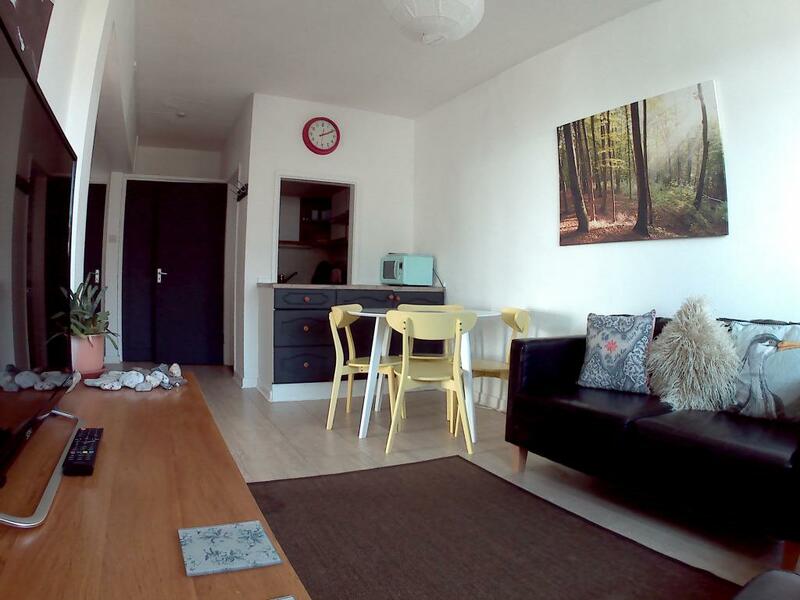 We would recommend early booking as this apartment is very popular. 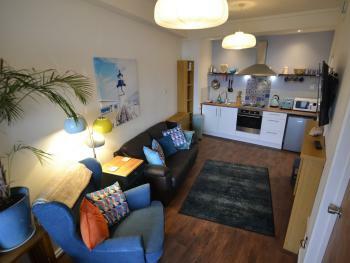 Apartment 3 is a spacious, open plan, family friendly, bright and flexible apartment with sea views. 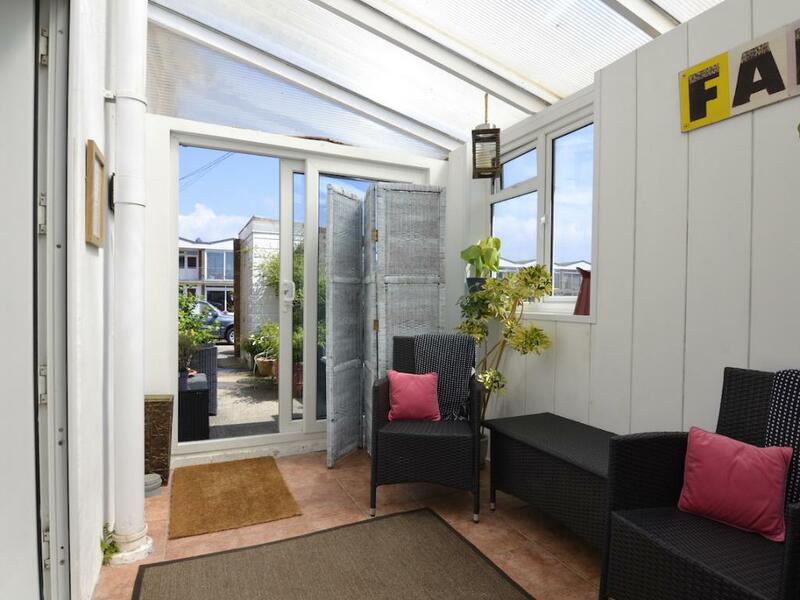 Situated on the first floor with sea views to the East from the living room and bedroom. 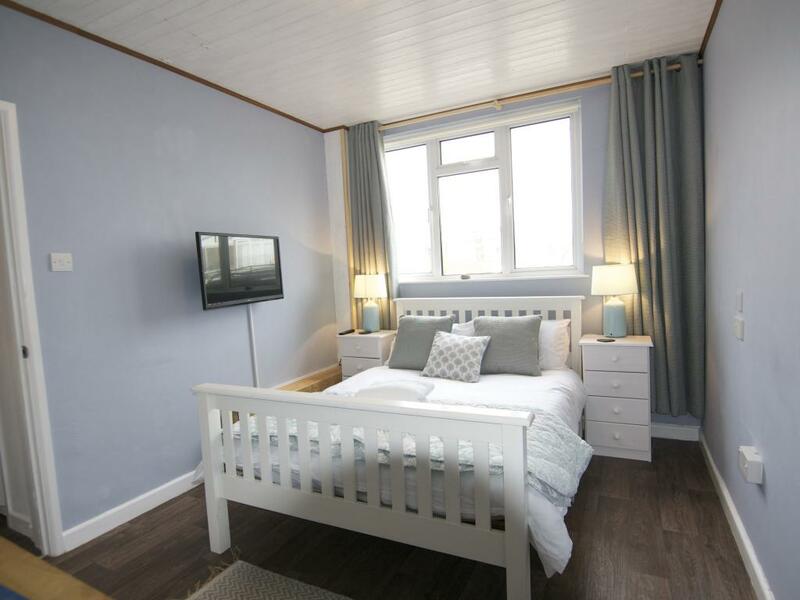 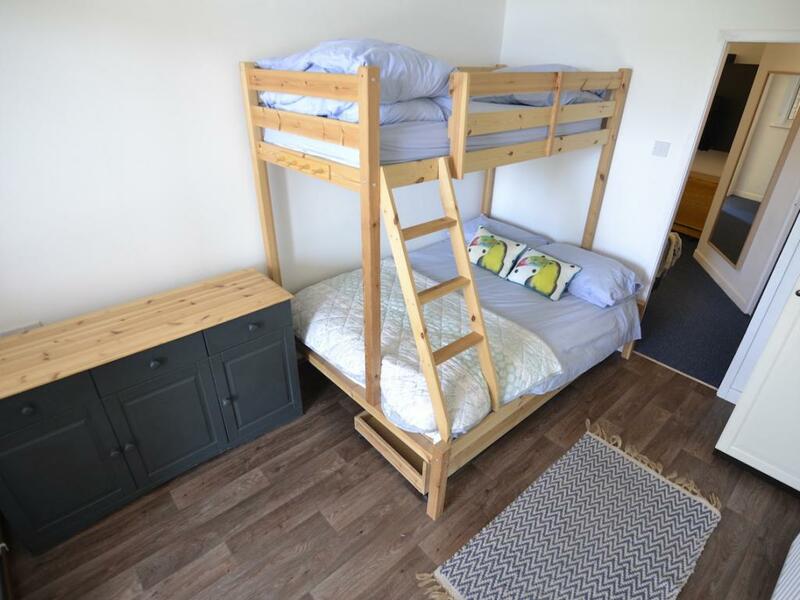 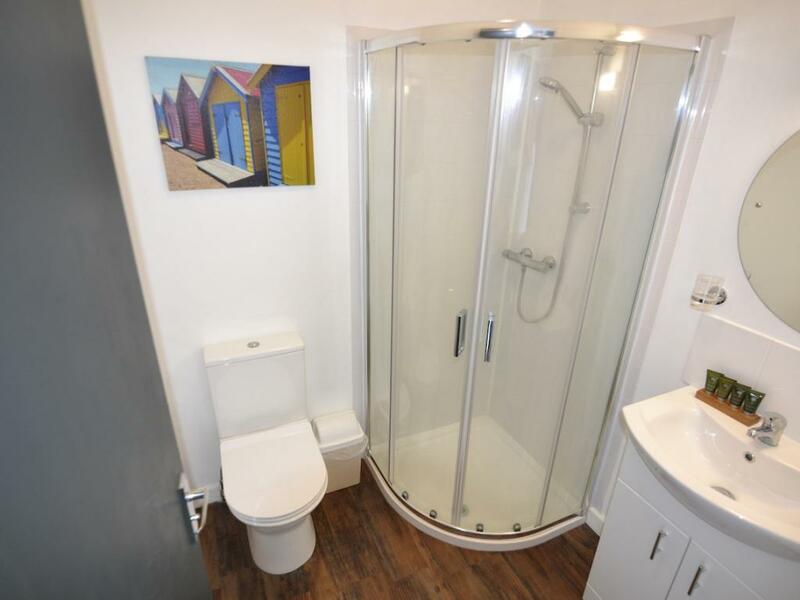 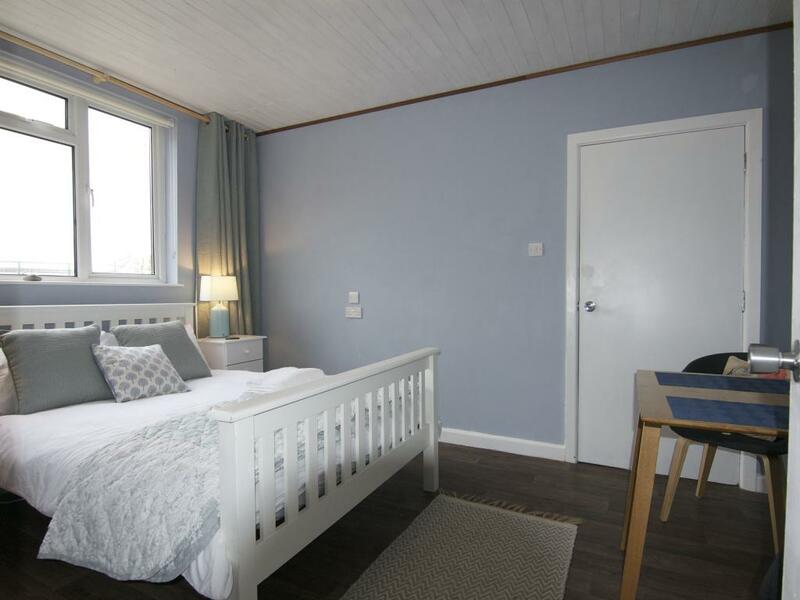 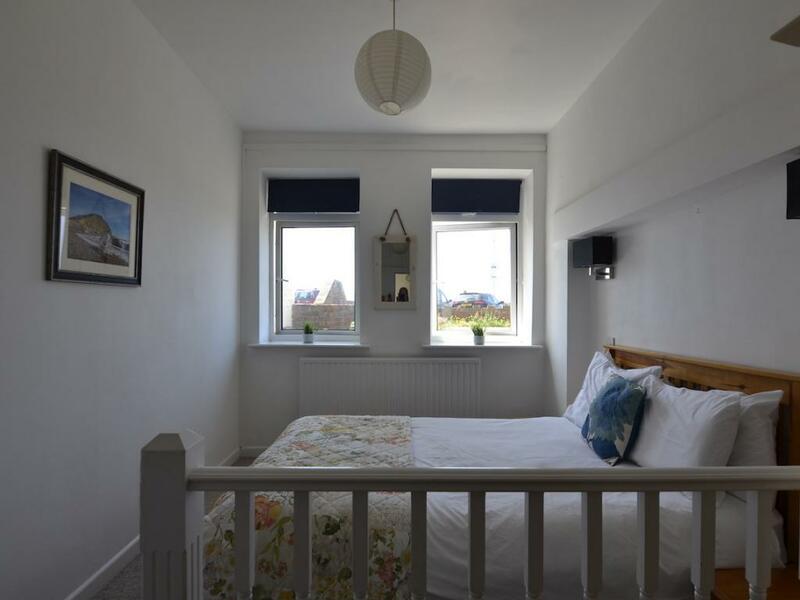 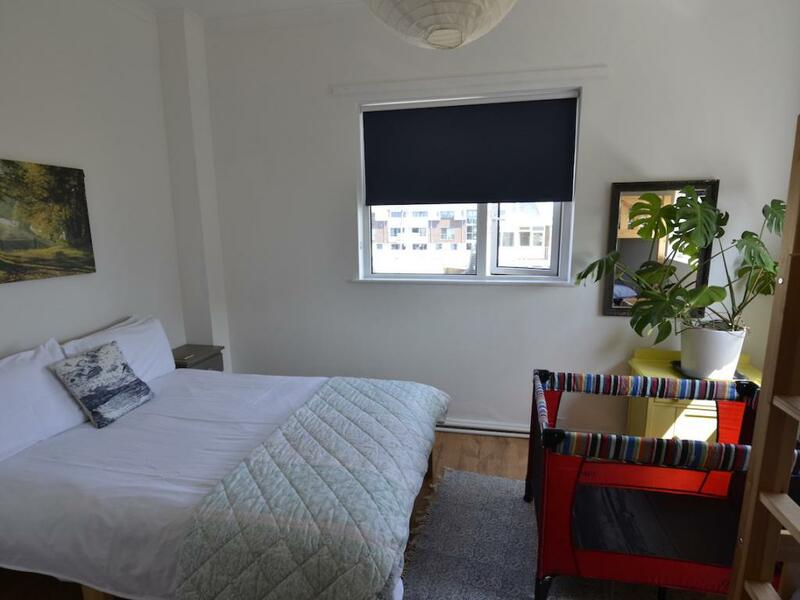 Bedroom 1 is spacious and contains a double bed and an adult sized bunkbed, with dual aspect windows there are sea views of the harbour mouth and the surrounding gardens. 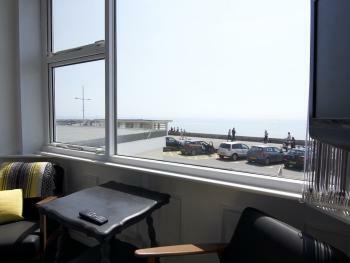 Bedroom 2 contains a double bed with sea views of the harbour mouth. 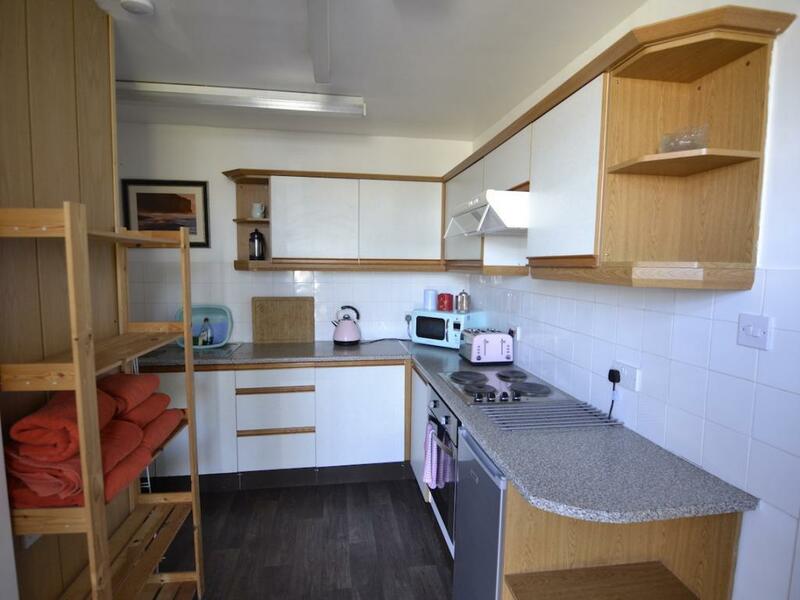 The spacious open plan lounge contains a kitchen, dining area, 43? 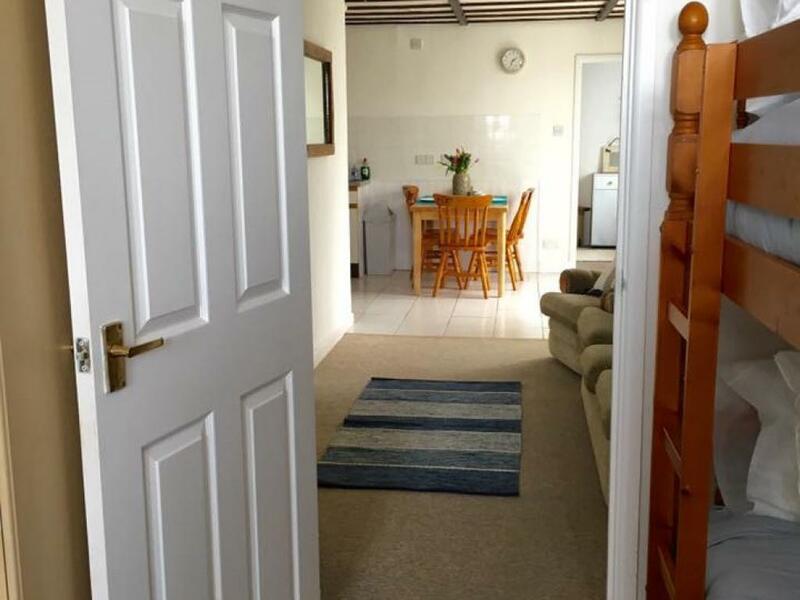 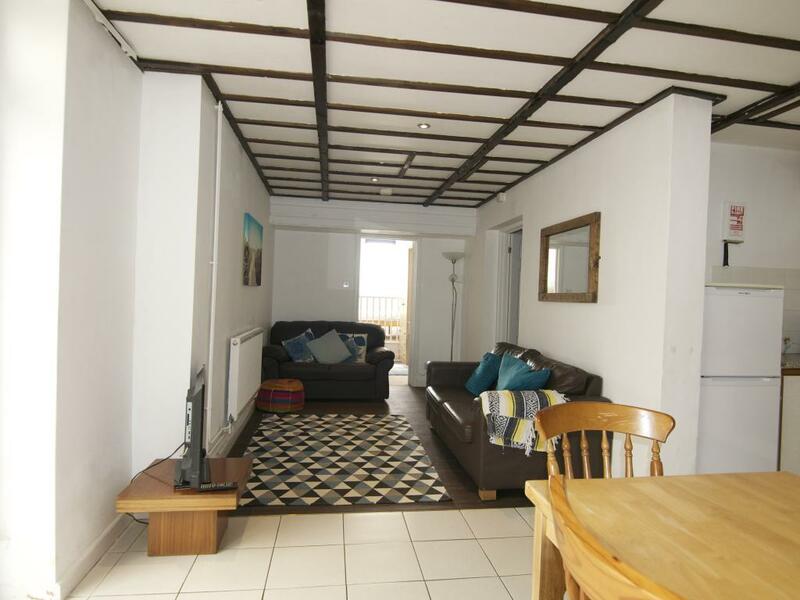 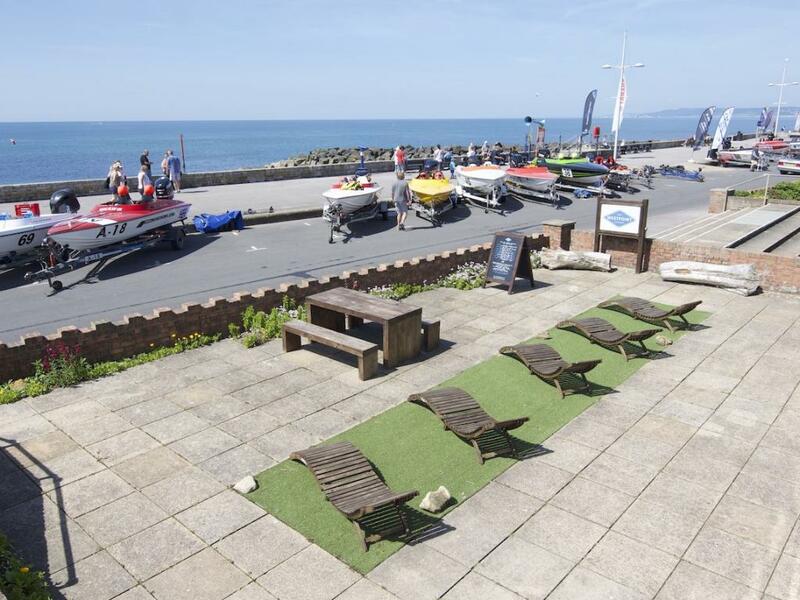 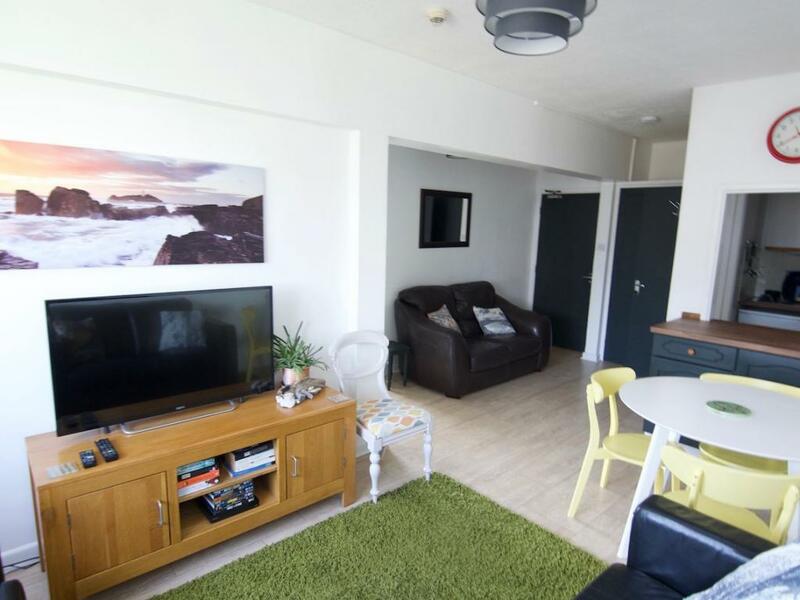 LCD television,DVD player, sofa, sofa bed and sea views of the harbour mouth. 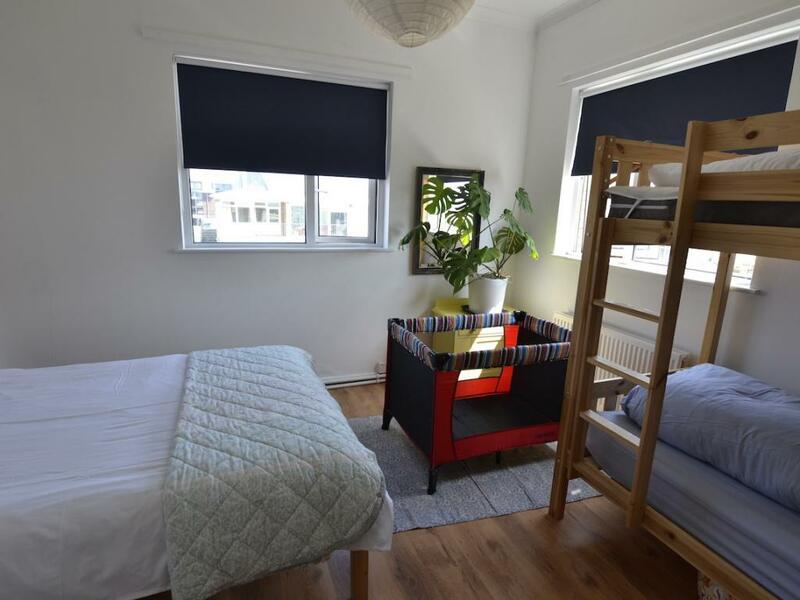 This apartment is perfect for families. 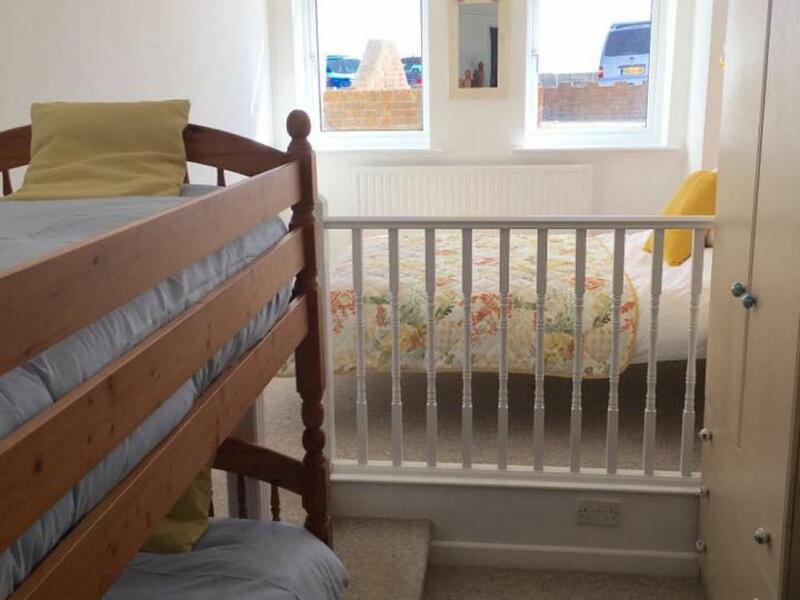 Apartment 3 is on the first floor and requires the use of stairs to gain access. 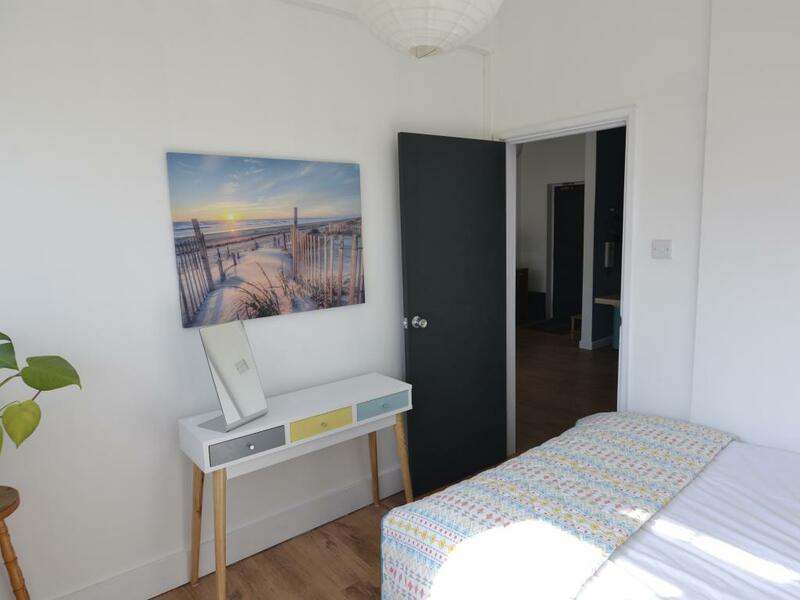 Apartment 6 is steps from the beach and is the newest addition to Westpoint. The apartment comprises 2 bedrooms, 1 bathrooms, kitchen and lounge. 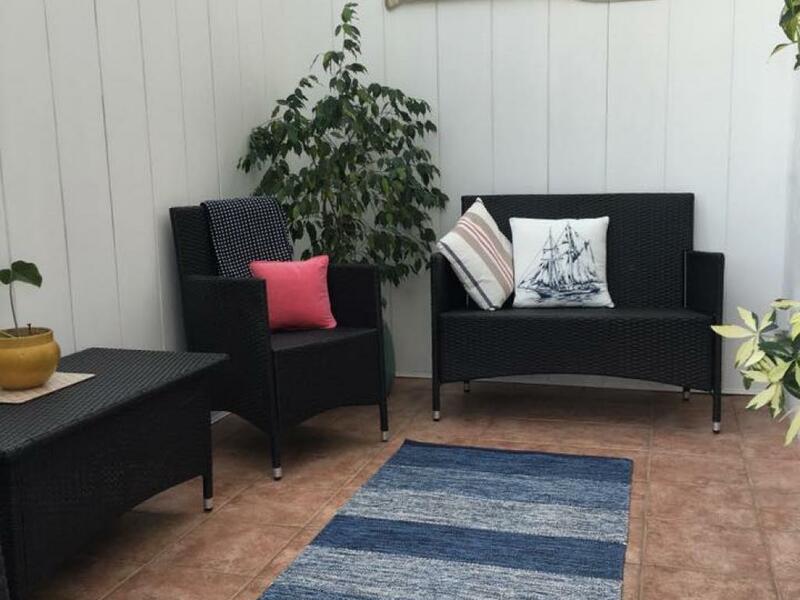 There is an outside patio area with seating and recliners which faces west and enjoys the afternoon sun until sunset. 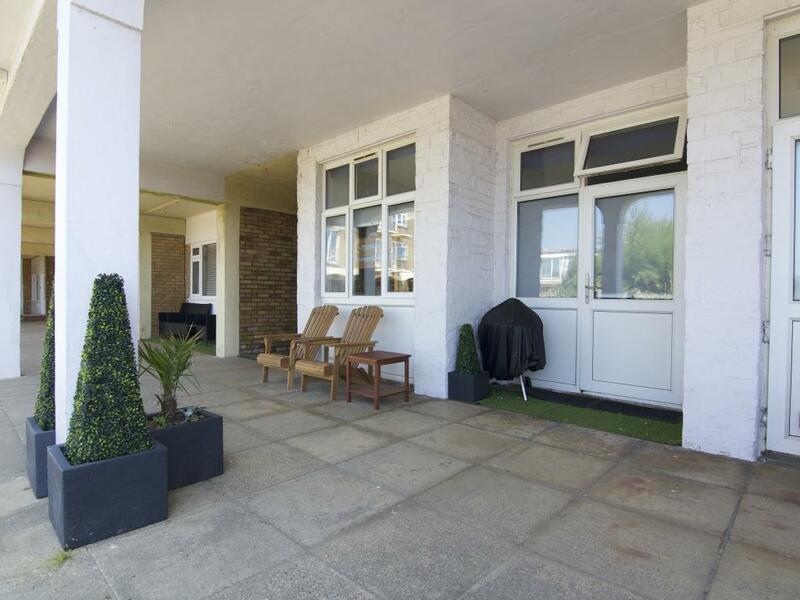 There is access to the communal gardens surrounding Westpoint. 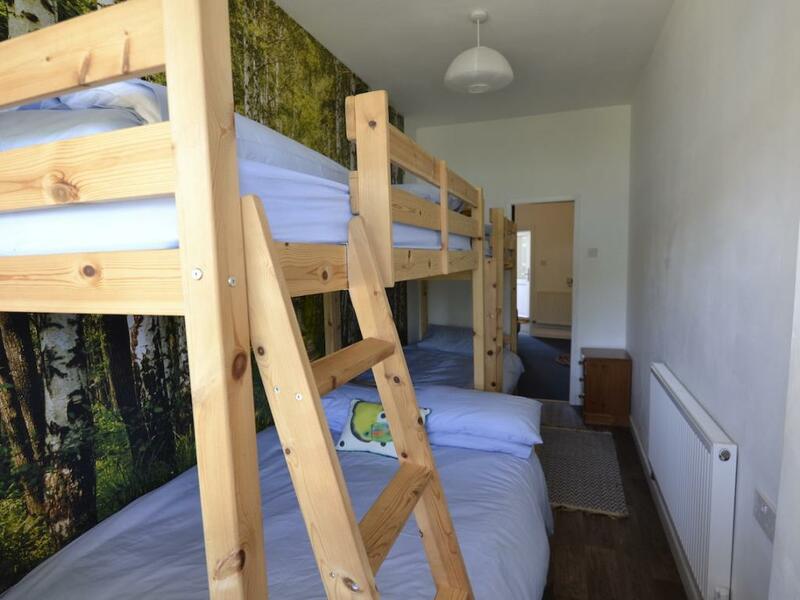 Each bedroom contains a combination of bunkbeds with double bottoms and single uppers, all adult sized. 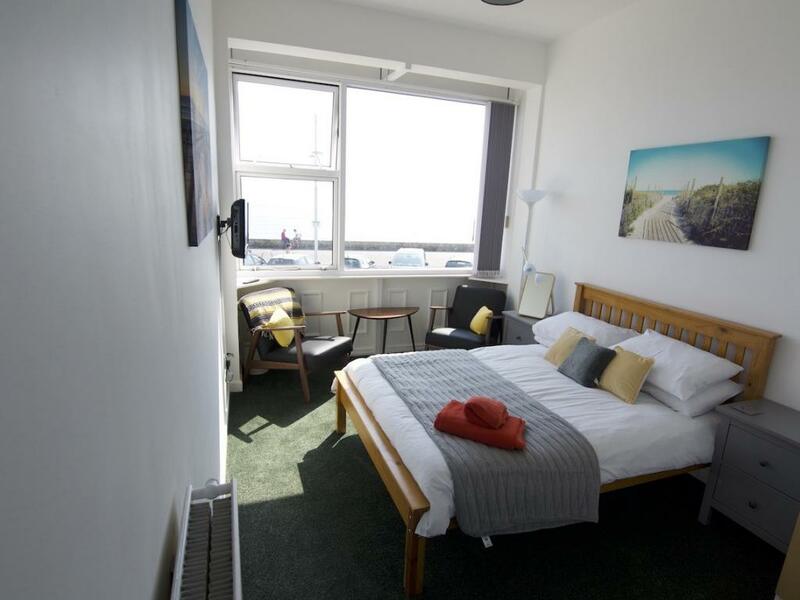 With a double available in each room 2 couples would find the apartment layout ideal. 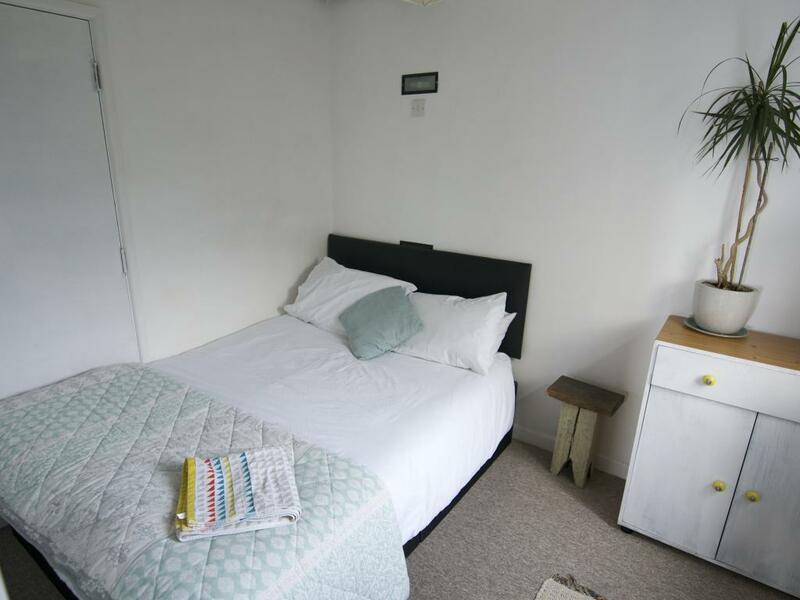 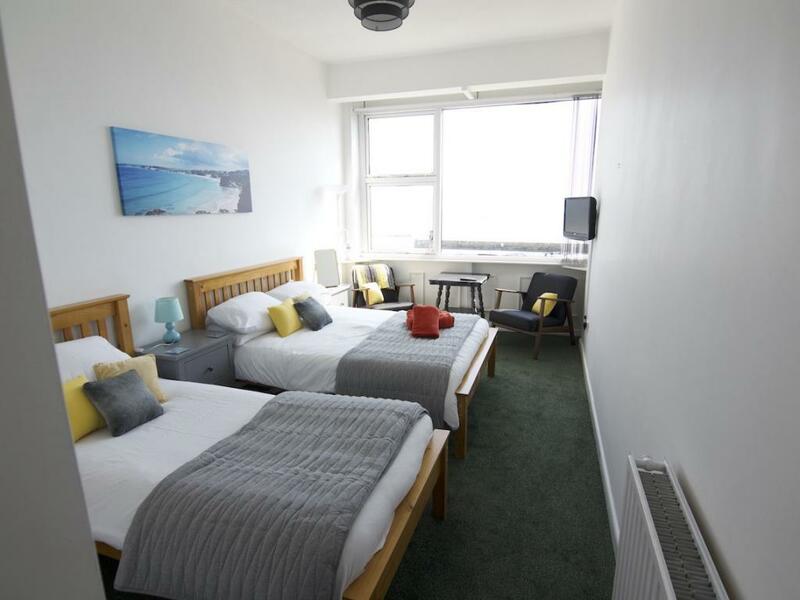 The apartment can sleep 6 people across the 2 bedrooms in individual beds or 7 people with the double bed shared. 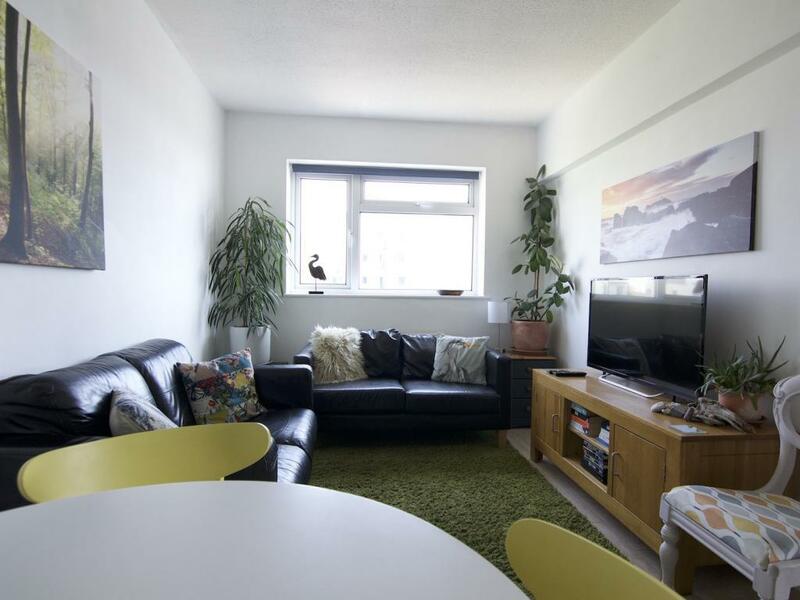 This apartment would particularly suit small and large groups as well as extended or multiple families. 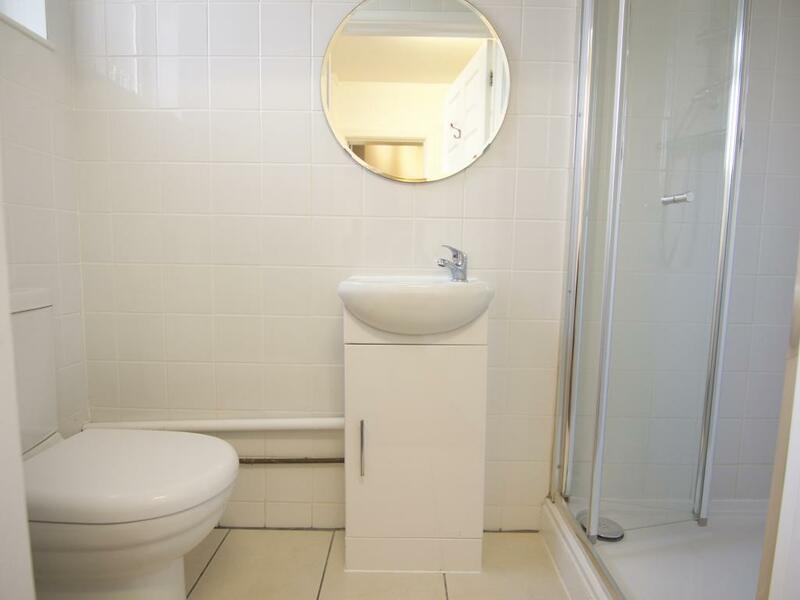 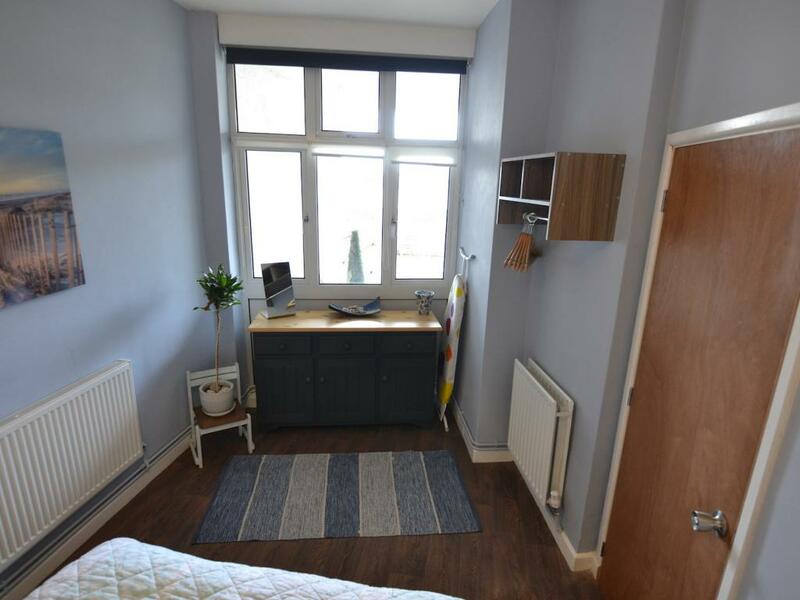 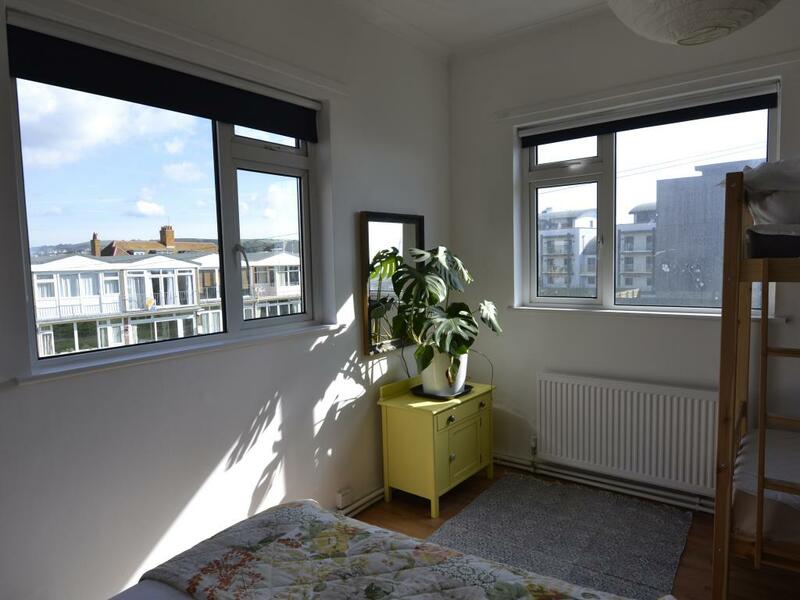 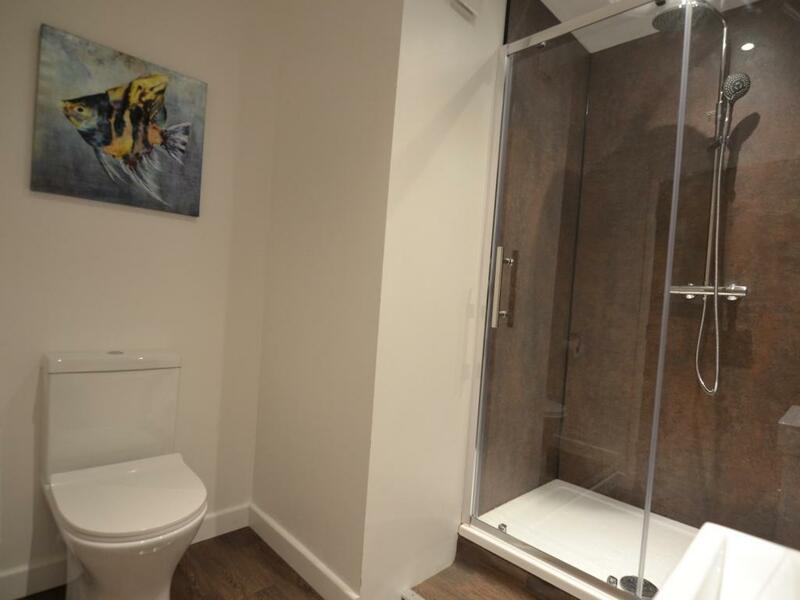 This apartment is also available to contractors who may be working in the local area. 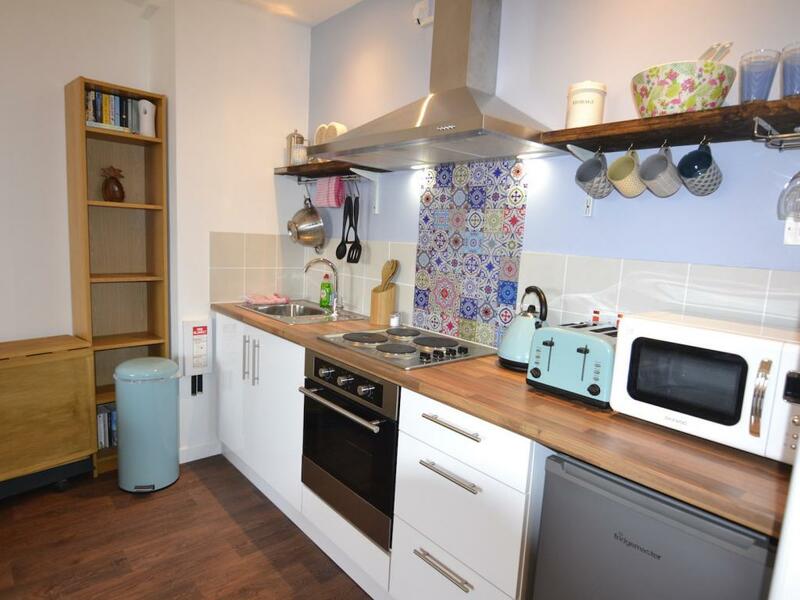 There is a fully equipped L-shaped kitchen including large oven, quadruple hob, microwave and fridge freezer. 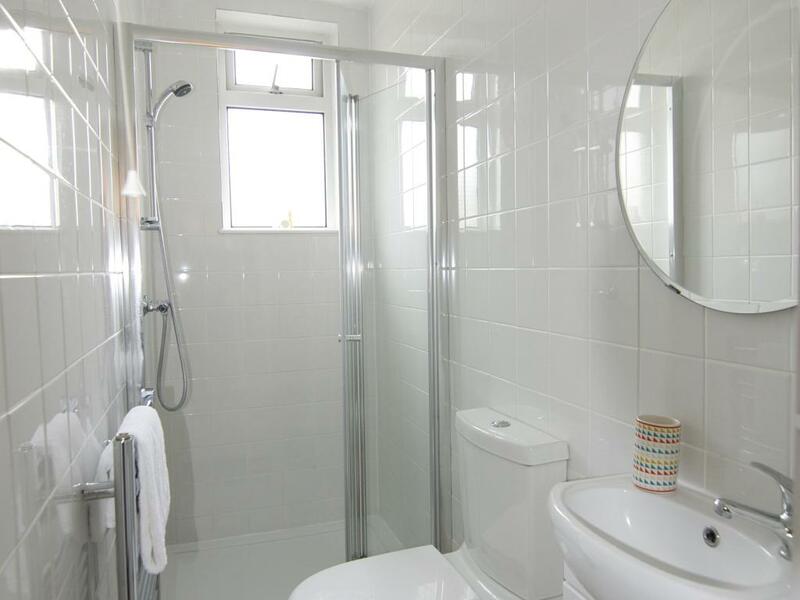 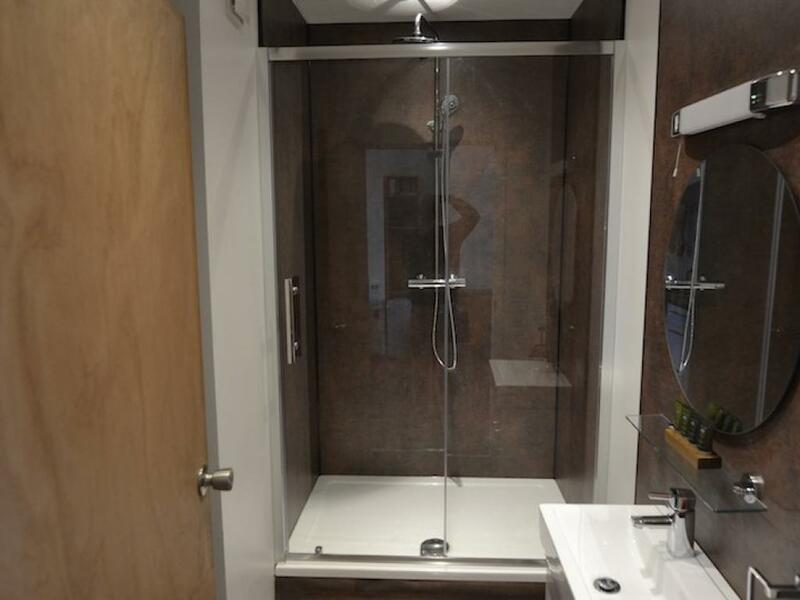 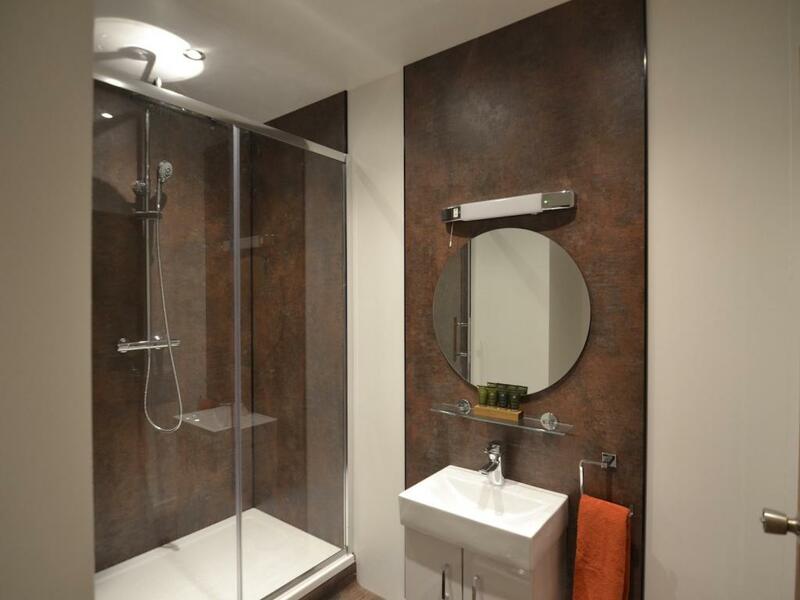 The bathroom provide shower, wash-hand basin and WC. The lounge is found at the centre of the apartment and provides comfortable smart seating and the latest in 43? 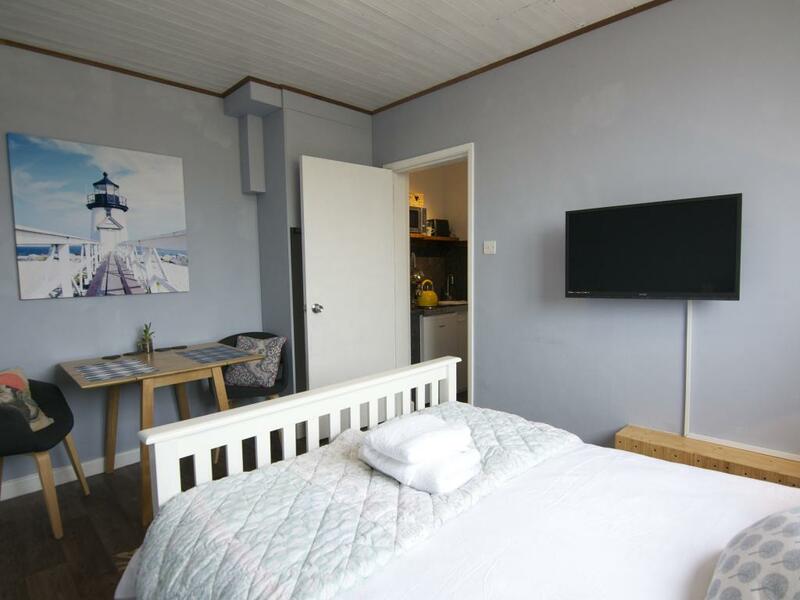 LCD entertainment. 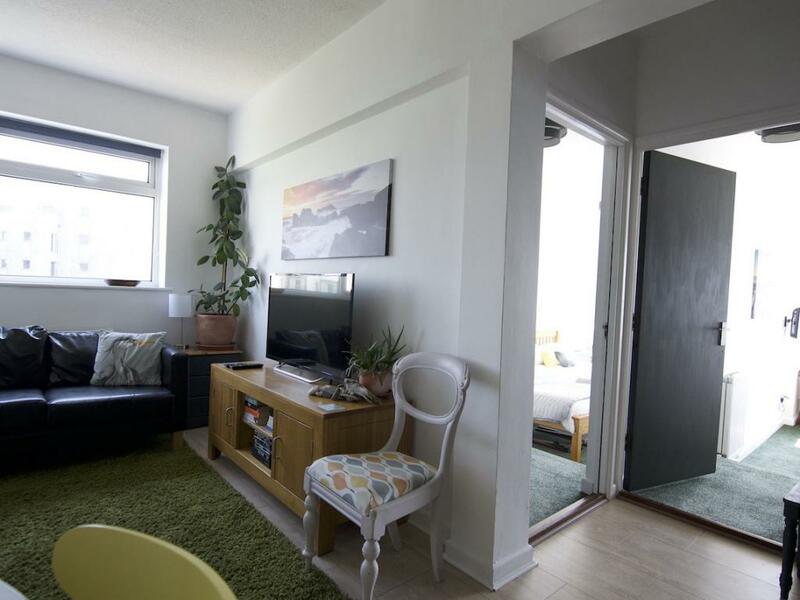 Apartment 6 can accommodate dogs by prior arrangement, there may be a cleaning fee. 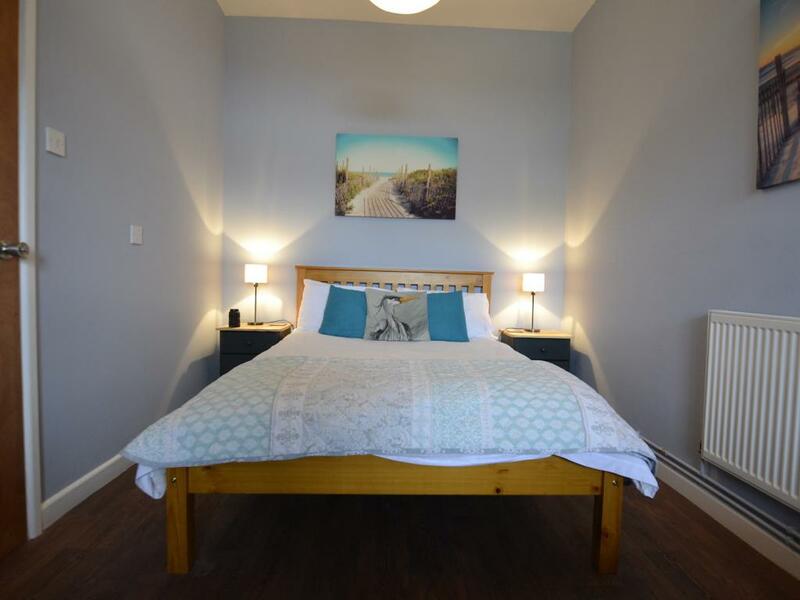 Apartment 7 has two bedrooms, a double and a family bedroom (double and set of bunks) looking across the Esplanade. 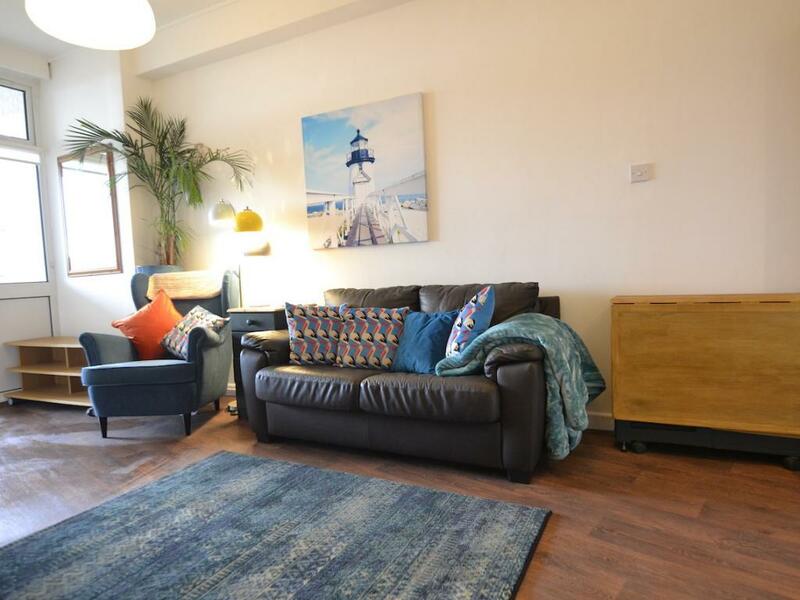 There is an open plan kitchen with dining table linked to the lounge which benefits from a large LCD television, DVD player and confortable sofas. 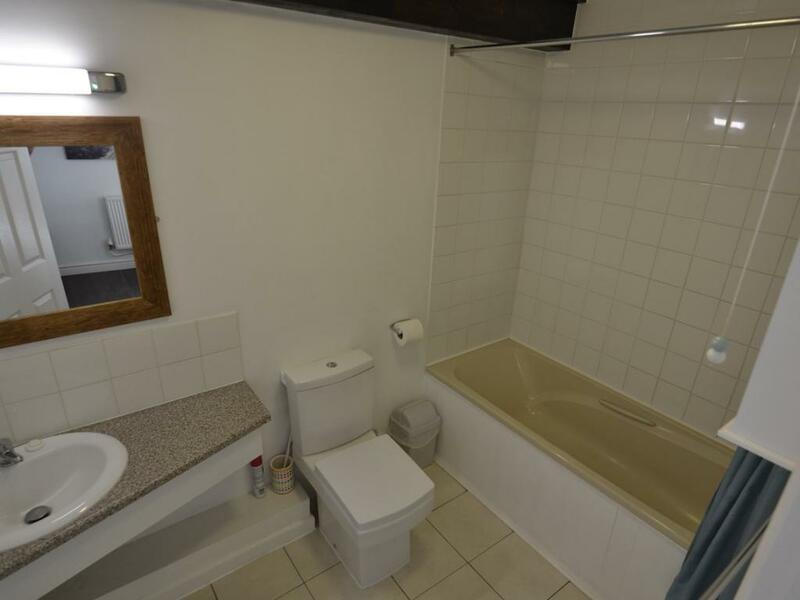 There is an ample family bathroom. 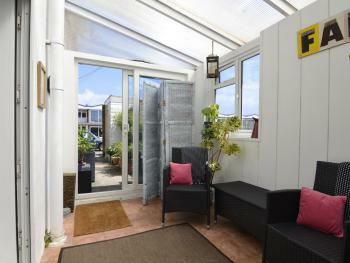 The apartment benefits from the addition of a fantastic sunroom which also has access to a small outdoor seating area. 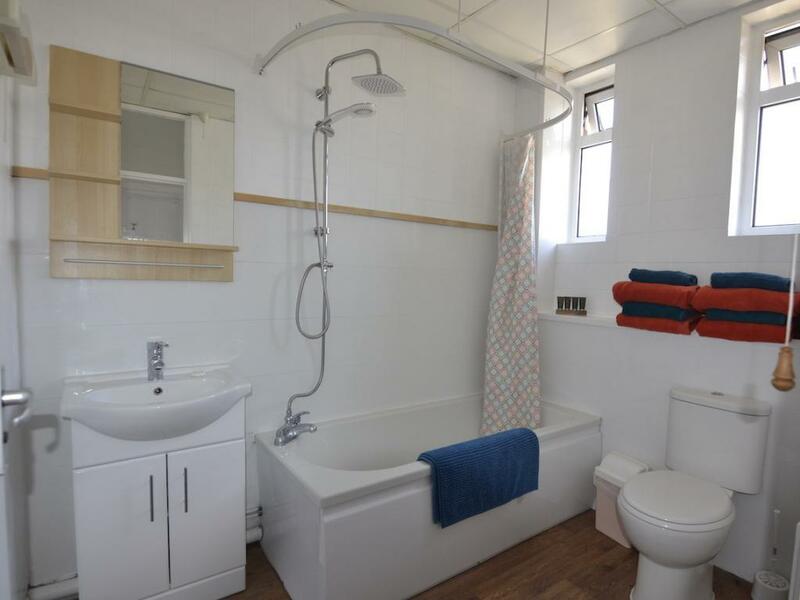 It is at the rear of Westpoint and has easy access to the communal lawns. 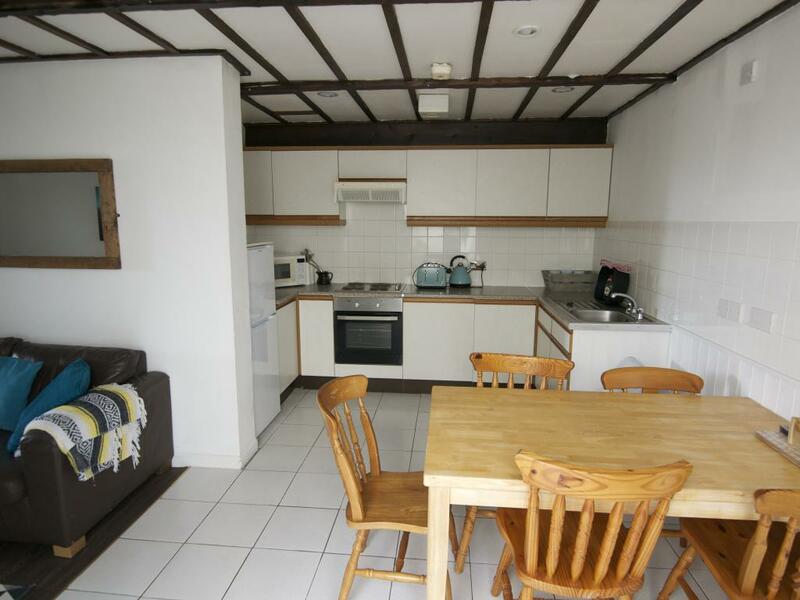 It is pet friendly and very popular with families. 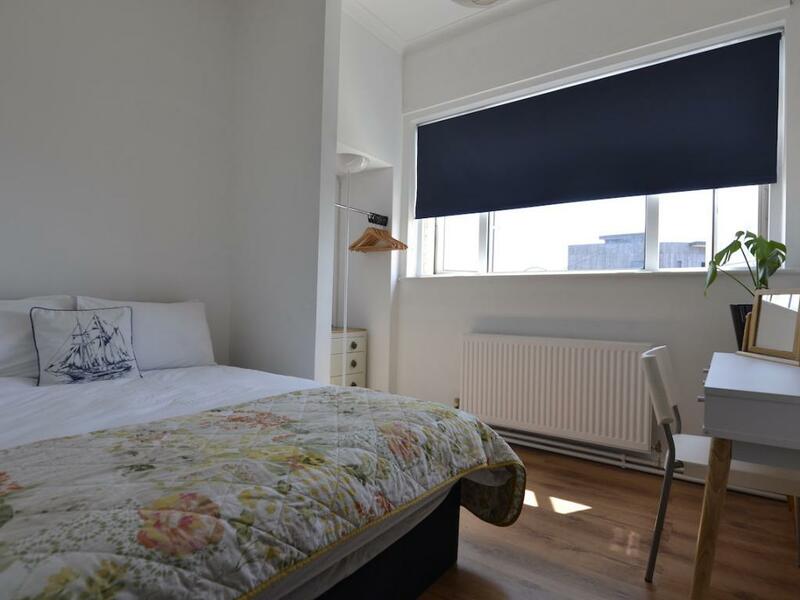 Apartment 5 was remodelled in January 2019. 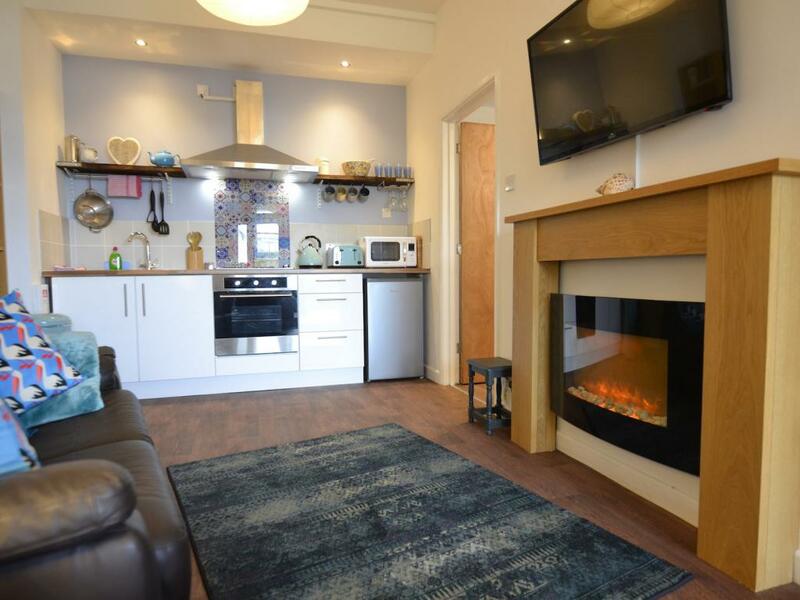 With an open plan lounge, dining and kitchen and fireplace it is a cosy, modern and comfortable apartment steps from the sea. 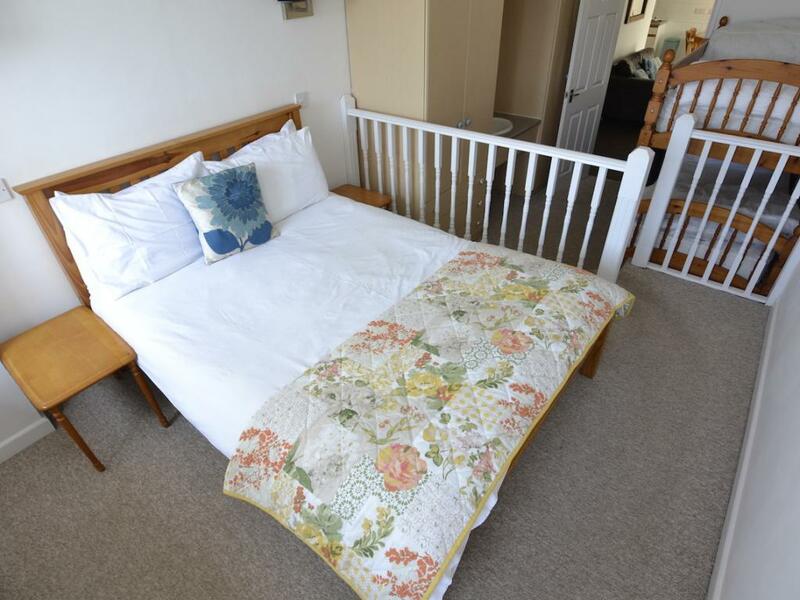 With a large double bedroom it is perfect for couples and their pooches who wish to explore the Jurassic Coast. 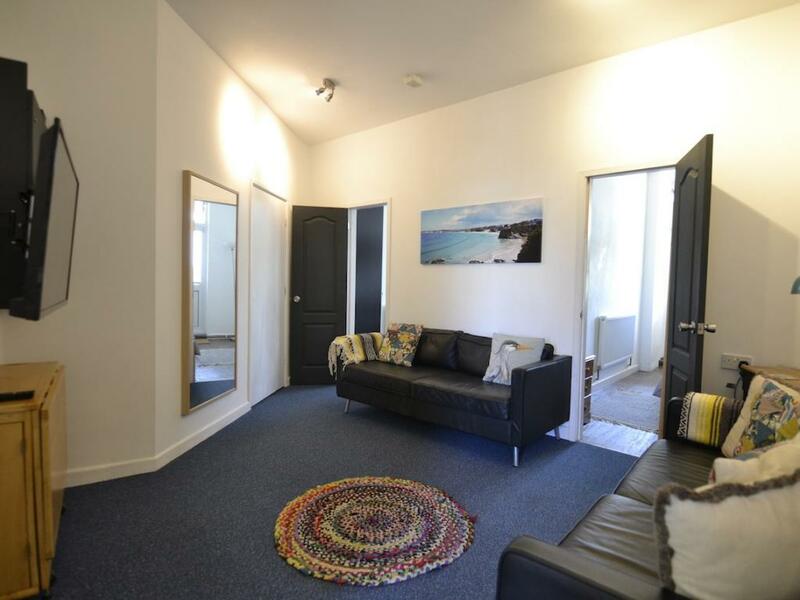 There is also a sofa bed in the lounge should your group be a little larger. 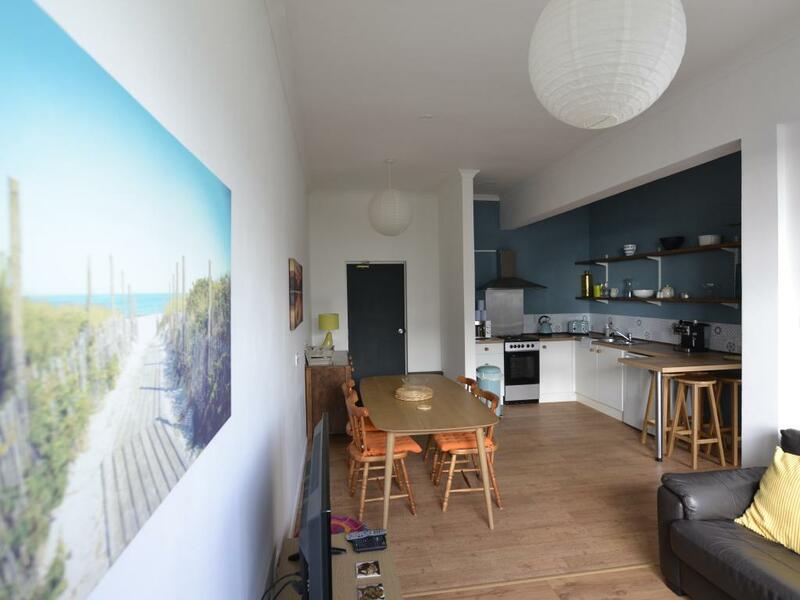 Apartment 5 is steps from the Esplanade and benefits from its own covered external seating area that gets the afternoon and evening sun. Apartment 5 has a designated parking space, wifi and flat screen TV. 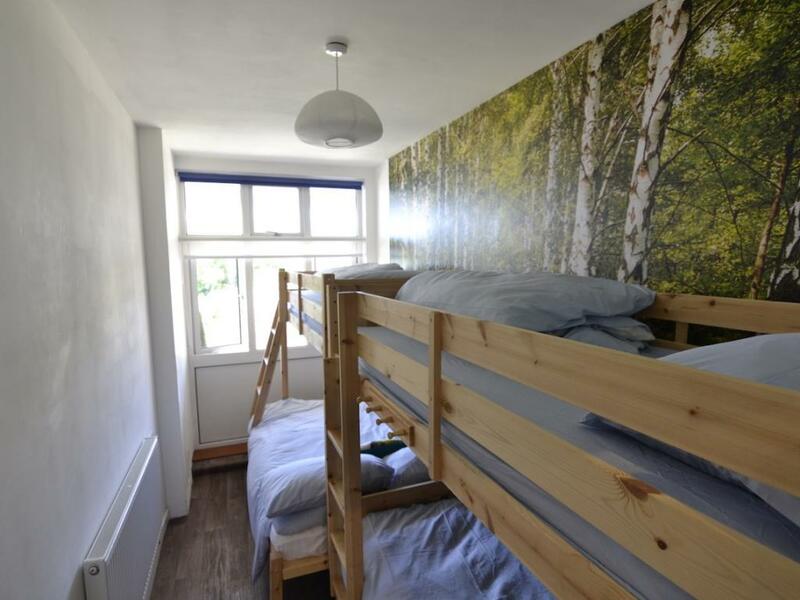 Bedding and towels are provided as standard.